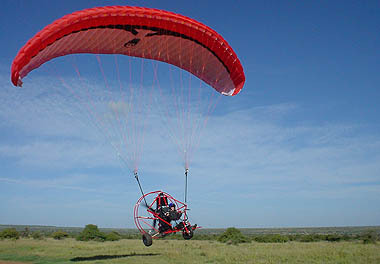 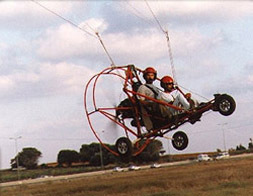 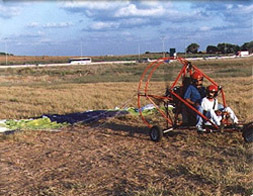 The Paraplane is a motorized Ultralight plane for one or two persons, consisting of a frame with engine and wheels and a parachute/Parawing. 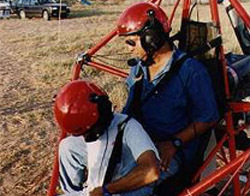 Practically anyone can learn to fly it, without the requirement of being a pilot in any other branch of aeronautics (like sailplane flying, paragliding or hang gliding etc.). 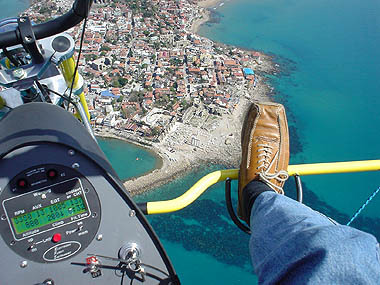 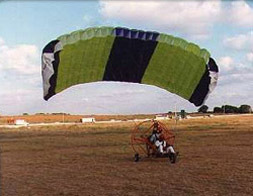 The Paraplane is extremely easy and safe to use, and can be learned in only a few hours. 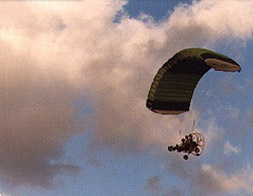 In the USA, for example, the origin of Paraplanes (Powered Parachutes), 70% of the Paraplane pilots are new to the flying sport! 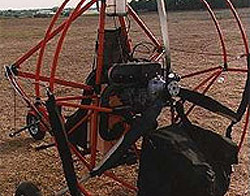 Apart from the purchase costs there are only relatively low maintenance costs in comparison to other motorized aircrafts. 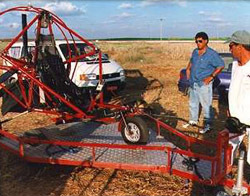 The Paraplane can be transported fully rigged anywhere by means of a simple car trailer. 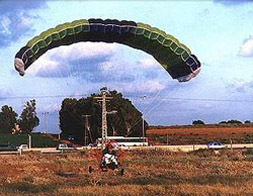 You don't need a special hangar and thanks to its flexible wheel suspension, no special airfield with specific ground is necessary for take-offs and landings. 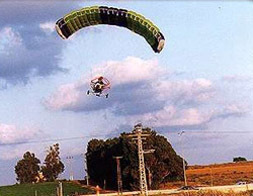 Flying preparation is quick and uncomplicated without any logistic requirements (like having to go to an airport, presence of ground personnel, other equipment).